The objective of these pages (web and Facebook) is to provide a forum for discussion of the restoration of the historic name of Bridal Peak to this amazing mountain at the head of Bridal Veil Basin. On these pages you will find information, pictures, and links to help you understand the story of Bridal Peak. And we ask for your support for our proposal to the U.S. Geological Survey to restore the name. These pages and this effort are sponsored by www.coloradothirteeners.com. Click on that link to see more, but the bottom line is that we are all about images of the mountains of Colorado labeled with names and elevations of peaks, and the stories behind the names. We sell posters and books. Enough about that. Bridal Peak (proposed, but for now just Unnamed 13,510, or T11) is on the eastern rim of Bridal Veil Basin, above Telluride, Colorado. From Google Earth it is located at Latitude 37 Degrees 52 Minutes 40.82 Seconds North/Longitude 107 Degrees 45 Minutes 57.96 Seconds West. 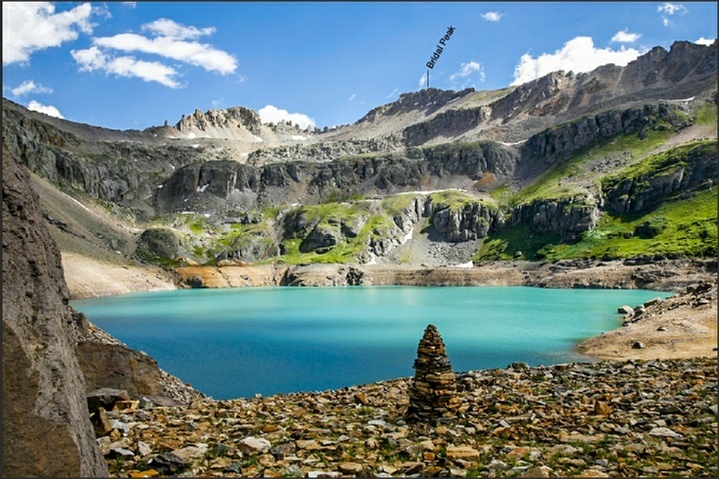 It is the first peak east of Columbine Pass, the pass between Bridal Veil Basin and Columbine Lake. It is also seen on the south rim of the basin in which Blue Lake lies (see our picture above). In the course of researching the mountains around Telluride for our most recent book, The Peaks of Telluride, we talked to as many long term Telluride climbers, skiers, miners and residents as we could. 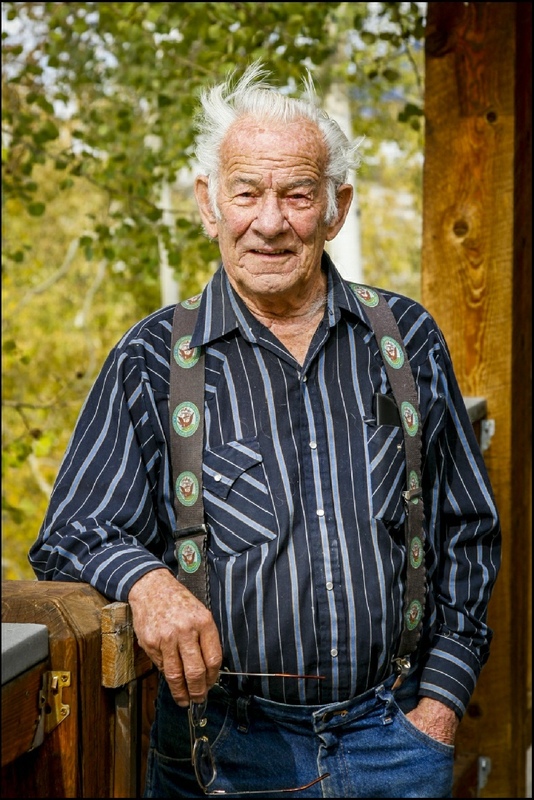 Billy Mahoney, Sr. was a great source of all kinds of information, and in our discussions he pointed out the Unnamed (13,510) peak at the head of Bridal Veil Basin… and showed it to us in a 1962 U.S. Geological Survey Bulletin clearly labeled as Bridal Peak. On modern day U.S. Geological Survey maps, and in the official record system for names of geographic places, Bridal Peak has been lost. It does not appear anywhere. 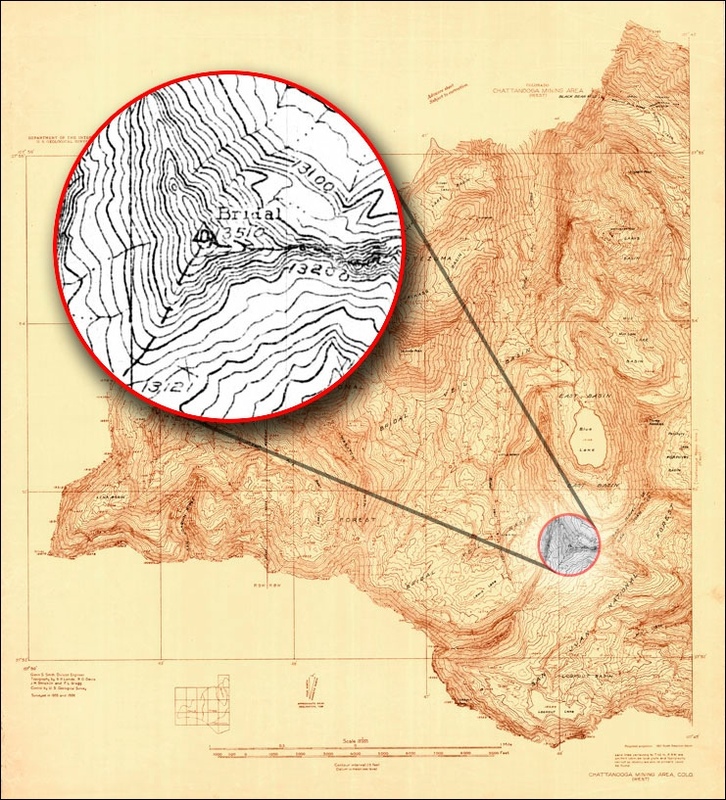 Plate 1 of this same Geological Survey Bulletin is a beautiful map of the region, clearly showing Bridal Peak, with its location perfectly consistent with the location of this 13,510 foot peak on modern USGS maps. 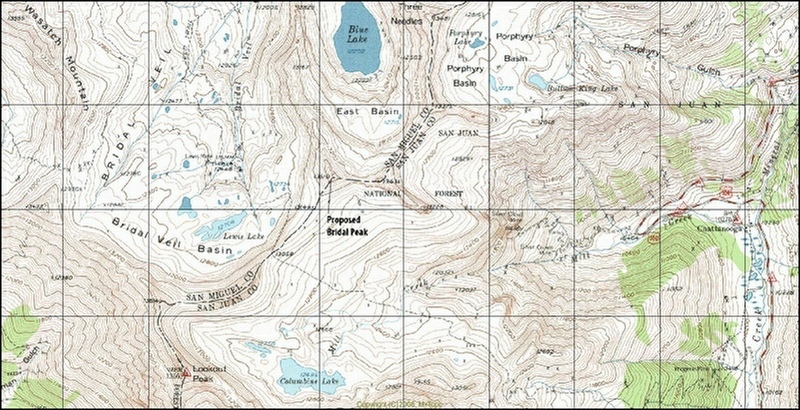 The inset map is only a part of the original plate, which covers the Telluride area. We have copied and moved titles and captions on this map so the reader may see the original titles, but made no other changes to the map. We refer to this same map as we discuss Bear Mountain at the head of Bear Creek, also lost in history, below. By its location, and this historical reference, we think Bridal Peak is the true and original name of this 13,510 foot peak. This peak is a different mountain from, and should not be confused with, the Unnamed 13,510-foot peak at the head of the valley that is often thought to be Telluride Peak. See that discussion under both Telluride Peak and Unnamed (13,510)/T9, above. 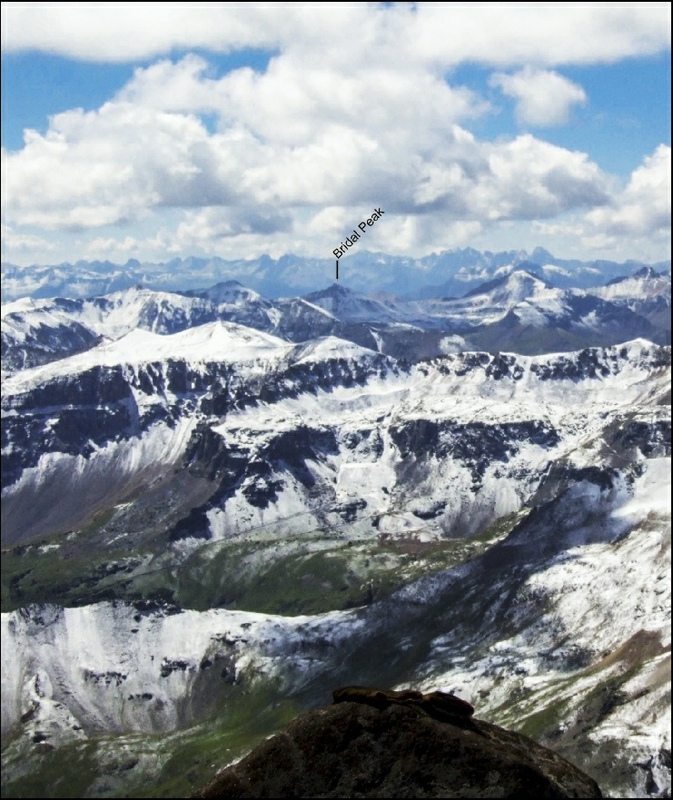 We note that Three Needles Peak and Bridal Peak are the least seen mountains in the Telluride area. They cannot be seen from any motorized travel-way, and to attain any view of them requires considerable hiking. HOW CAN I LOOK ALL THIS UP FOR MYSELF? A search for Bridal as a summit in Colorado produces no data… That means there is no officially named peak in Colorado by that name. 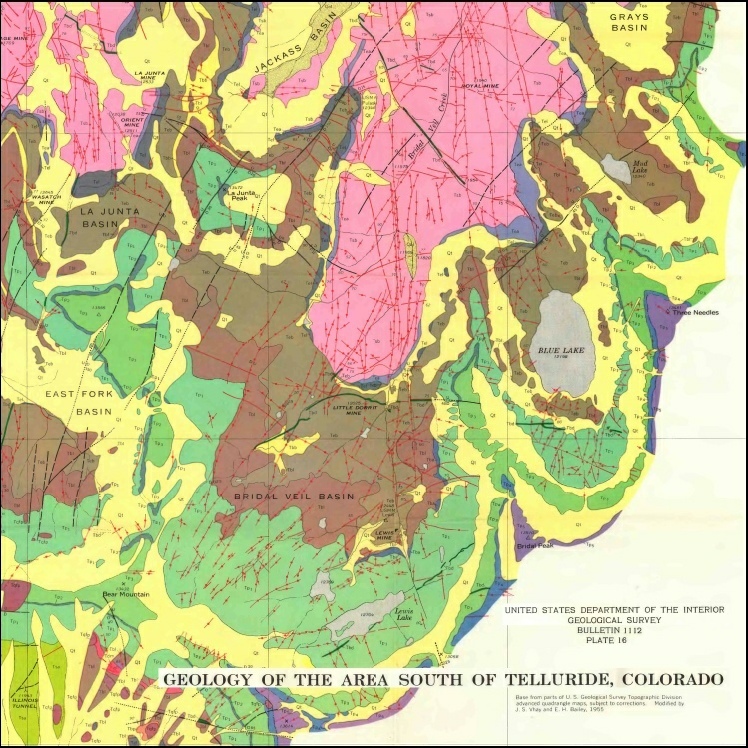 Now, see the 1962 report on the Geology of the Telluride area at http://pubs.usgs.gov/bul/1112g/report.pdf. Give it time to load. See pages 215 and 216 and more. THEN, even better, go to this site, http://pubs.er.usgs.gov/publication/b1112G and click on Plate 1! Wow, what a cool map of the Telluride area! 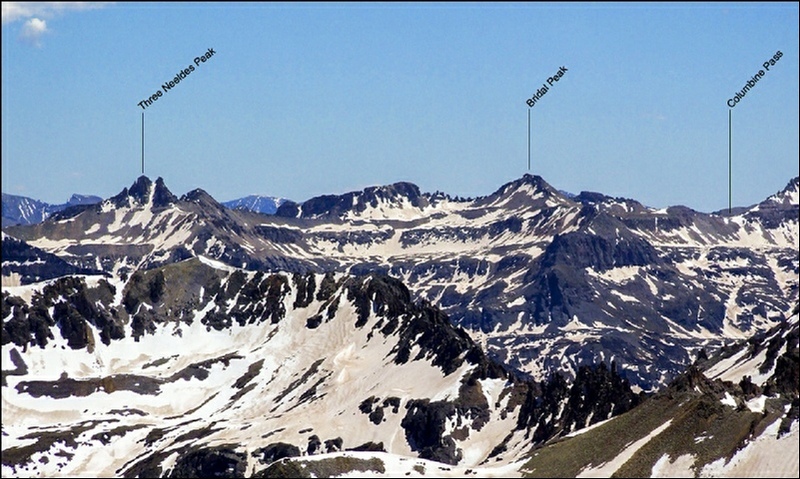 Here is a segment of that map, from The Peaks of Telluride, showing Bridal Peak. We believe that the 13,510 peak above Bridal Veil Basin should rightfully be officially named Bridal Peak! For lots of reasons, some you may even think of and help us with…. WHAT ARE WE DOING TO SUPPORT THIS PROPOSAL? There is a specific procedure for proposing the official naming of any geographic feature through the U.S. Geological Survey. See http://geonames.usgs.gov/docs/pro_pol_pro.pdf for Principles, Policies, and Procedures for Domestic Geographic Names and then see http://geonames.usgs.gov/pls/gnispublic/f?p=DGNPPUBLIC:PROPOSE:4387439535892186 for the forms to actually propose a name. 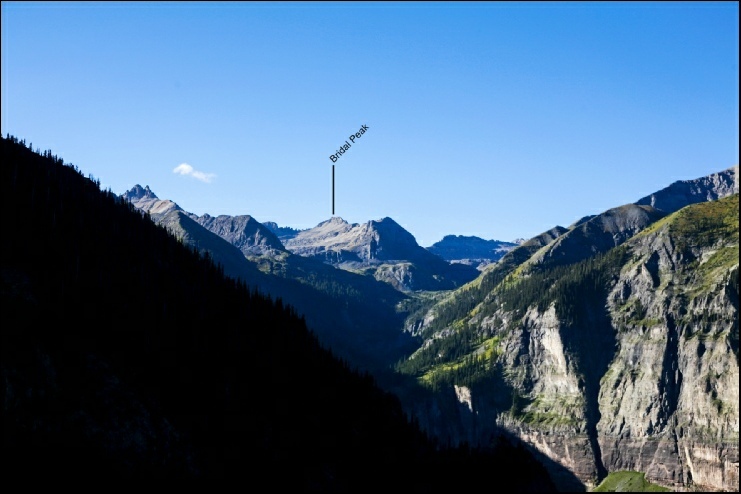 We have proposed Bridal Peak to the USGS using this procedure. USGS requests on their web site that only one proposal be submitted for a specific name. We are embedding links to both the Web page, and the Facebook Page, in our proposal, and hope to use these as one way to express support for the proposal. Show your support for this naming! Like us on Facebook! Write us at BridalPeak@montrose.net. 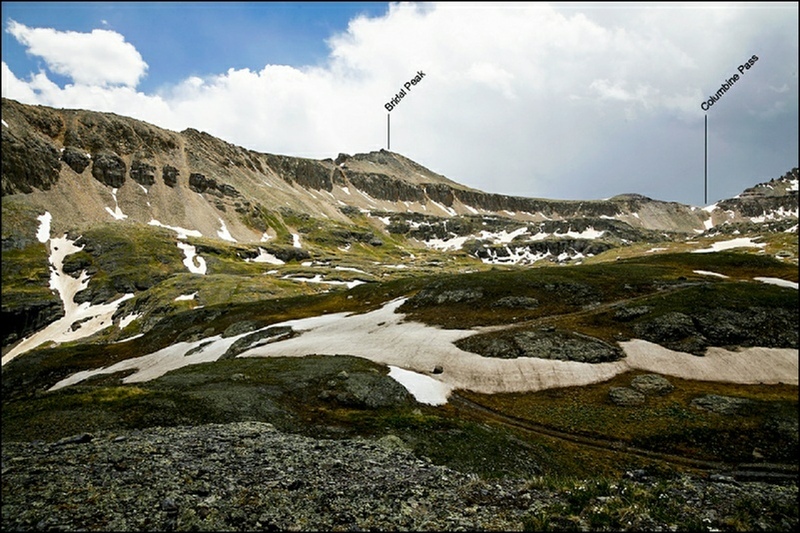 Write the USGS at BGNEXEC@usgs.gov with “Bridal Peak” in the subject line. Talk to your friends and elected representatives. Watch for/listen for Bridal Peak in the news! And go there. And sign the register! In the next several months we hope to stimulate interest in this proposal, and eventually to finalize our proposal to the USGS with the support and approval of the Telluride community, and even the broader Colorado Mountain community, and to have the U.S. Board on Geographic Names accept the designation of Bridal Peak! With this email, I am requesting that you forward our nomination of Bridal Peak to the Board on Geographic Names for a decision. It is Proposal ID 8165. Our objective is to officially restore an historic name deeply rooted in the early days of Telluride. Bridal Veil Falls, Bridal Veil Basin, and Bridal Veil Creek, and BRIDAL PEAK are interwoven with the rich history of Telluride, tie to documented USGS naming from 1936, 1955, and 1962, and should not be lost. I have fulfilled my promise to engage the local community and have found nothing but support. I have visited with, and you should be receiving letters/emails of support for Bridal Peak from: San Miguel Board of County Commissioners, San Juan County Board of County Commissioners, Town of Telluride Town Council, Town of Mountain Village Town Council, Telluride Historical Museum, Ouray County Historian, and various other individuals in the region. Articles about Bridal Peak have appeared in the Telluride Watch, Telluride Daily Planet, Montrose Daily Press, Montrose Mirror..... all local newspapers. And we have been interviewed by KOTO radio, the Telluride Radio station. And we have handed out book-marker cards (images attached here) to all local stores to distribute to the public in Telluride, and Ouray. I find that anyone (literally anyone at random) I talk to in Telluride now, has seen, and/or heard about, Bridal Peak, and is in favor. I have updated our Website, www.bridalpeak.com to tell the entire story. The site includes news of our our nomination to you, images of and from Bridal Peak, maps, LINKS TO HISTORIC USGS PUBLICATIONS, and some, but not all, of news coverage we have received, and of course, our rationale for this nomination. It, along with our actual application, should be about as complete a staff report as the Board gets for consideration of such things. Selected parts are also on our Facebook page, "BridalPeak," along with some indication of comments and public response. I believe I speak for the entire Telluride/Silverton/Ouray mountain community when I say, we hope you will consider all these inputs, and that the Board will restore to this summit its historic name, Bridal Peak. Please advise me as to when this will come before the Board, and then, of course, of their decision. If I can provide any more information or be of assistance please let me know. We have completed our community involvement with resounding support from all that we have spoken with. We visited with, and received universal support from: San Miguel Board of County Commissioners, San Juan County Board of County Commissioners, Town of Telluride Town Council, Town of Mountain Village Town Council, Telluride Historical Museum, Ouray County Historian .... and many other individuals. Articles about Bridal Peak have appeared in the Telluride Watch, Telluride Daily Planet, Montrose Daily Press, Montrose Mirror..... all local newspapers covering the area. And we have been interviewed by KOTO radio, the Telluride Radio station. And we have handed out our book marker cards to all local stores to distribute to the public. Sooo.... we have given this the full attention of the affected public/community. It is time to ask for a decision from the Board on Geographic Names. With this website update, we will ask the Board to bring it to its review this quarter. Thanks to all for your support. Hope for the best. W E D I D I T ! ! ! ! The U.S. Board on Geographic Names voted today to restore the name Bridal Peak to the 13,510 foot summit just north of Columbine Pass, at the head of Bridal Veil Basin. “the proposal was approved unanimously. No controversy and very little discussion. This is the culmination of our effort over nine months to demonstrate the support of the Telluride/SW Colorado community for this naming. The name is deeply embedded in Telluride history. We do not know why it was not carried forward, but it has now been restored! Our application to the U.S. Board was first made in June of 2013, and since then we have met with and received the support of so many. THANKS go to these folks for their written support to the Board: San Miguel County Commissioners, Telluride Town Council, Mountain Village Town Council, San Juan County Commissioners (Silverton), Telluride Historical Museum, Ouray County Historian, Telluride Mountain Club, and the State of Colorado Board on Geographic Names. And individuals. And thanks to Billy Mahoney, Senior for pointing it out to start with. You can see the whole story about how this came about at www.BridalPeak.com, Bridal Peak on Facebook, or in our new book “The Peaks of Telluride.” Way to go, Senior! And so… A part of Telluride’s history is restored, and made permanent. There is no other official Bridal Peak anywhere in the United States. Celebrate Telluride, Silverton, and Ouray! And what is next? Maybe now it is time to help some people get married up there!